Rooms Sincere 1830, Ljubljana, Słowenia : Rezerwuj teraz! Rooms Sincere 1830 offers 5 different types of modernly decorated private rooms with private bathrooms, free Wi-Fi and air-conditioning. We also offer or organise a wide range of extra activities like Rent-a-Bike, Rent-a-Car, guided tours around Slovenia and Ljubljana Sightseeing. We have a shared reception with H2O Hostel at Petkovškovo nabrežje 47, where you can check in. You can use a shared kitchen in the H2O Hostel, just a few meters away from Rooms Sincere 1830. Rooms Sincere 1830 is located in the heart of Ljubljana, at Petkovškovo nabrežje 41 near many cafes and restaurants. We are located 100m from the Dragon bridge and a 5 min walk from the main Prešeren Square. 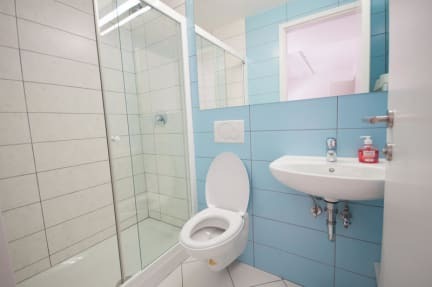 All rooms are modernly decorated with a private bathroom (shower and a toilet), free wi-fi and air conditioning / heating. Seating area is available in front of the rooms. You can also RENT A BIKE for 10 EUR / day, 8 EUR / 5 hours, baby seat 5 EUR, baby trailer 8 EUR.